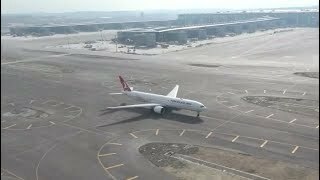 The World's Biggest Airport - New Istanbul Airport is fully operational from 6th April 2019. All existing flight operations from current Ataturk Airport will be moved to the new Istanbul Airport. Let's take a quick peek inside the new Istanbul Airport. The airport took just 42 months to build and represent over 10 billion Euros of investment. 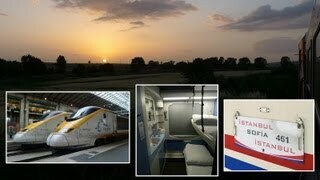 Once fully complete it will have capacity for 200 million passengers annually. 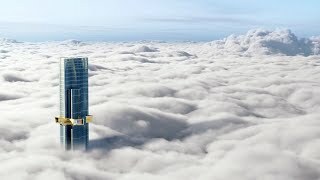 Check out the massive (biggest airport terminal building) and its impressive facilities in the video. 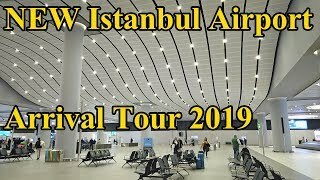 Join us for a first glimpse and tour of the brand new, lavish Istanbul airport, which has now replaced Istanbul Ataturk airport as the airport in Turkey for the processing of all commercial passenger flights, leaving the Istanbul Ataturk airport processing mainly only cargo flights. The new Istanbul airport is situated on the European side of the city in the Arnavutkoy district of Istanbul and is the third international airport to be built in Istanbul. The first stage of the airport’s construction, which has now been completed, has seen the creation of the airport’s main terminal which is now officially the world’s largest airport building under a single roof, spread over a colossal area of a mind boggling 1.4 million square meters. The airport is expected to handle and process 90 million passengers a year to start with in its current form but there are very ambitious plans to make the airport considerably larger – at the second stage of development, there are plans to add a third independent runway to the airport and the third stage will involve adding a second passenger terminal with a capacity for 60 million more passengers a year, bringing the airport’s capacity to 150 million people per annum and adding a fourth runway. The final stage of development will involve bringing the number of runways to six and adding satellite terminals providing an extra 50 million passengers a year capacity, bringing the airport to its maximum and fully developed capacity of 200 million passengers a year. 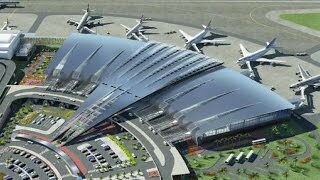 Completion of the airport in its entirety is expected to be finished in 2027, at a cost of 10.2 billion euros. 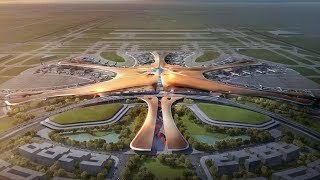 In the end, the airport will have four terminal buildings, interconnected with specially built railway access and will be spread over 3.2 million square meters, with a 6.5 million square meter apron consisting of aeroplane parking for 500 aircraft, VIP lounges, parking for 70,000 cars and even a state palace! 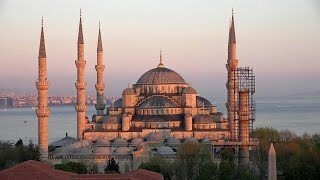 It really is an extremely ambitious project and will provide a world-renowned airport for Turkish airlines and other airlines to travel to and from. In this video, we meet Stephan Schwolgin and also Imbat Boyar, customer experience manager of the airport, for additional insights in to the world’s largest airport and see the 566 check in counters and 228 passport control points, all waiting for the flood of passengers to come. The airport is truly a colossus – it would take you eighteen minutes to walk from end to end of the main terminal building. 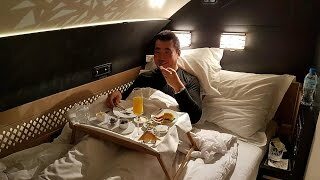 Thanks for watching and let us know what you thought of the brand new Istanbul airport in the comments below. We can’t wait to bring you further videos featuring the airport in future, showing the insides in more detail and monitoring the airport’s continued development.